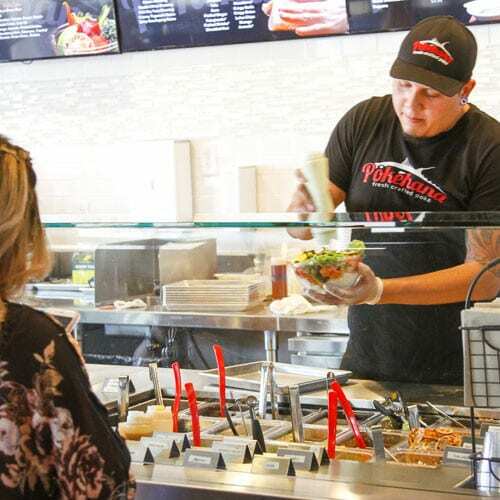 With restaurant locations in La Quinta and Palm Desert, Pokéhana is committed to serving only the finest fresh craft poké. 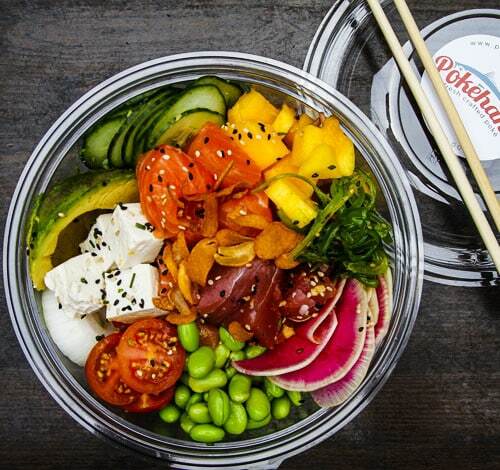 Our hand-crafted poké bowls are a quick, convenient way to enjoy fresh, healthy food made to fit your lifestyle! 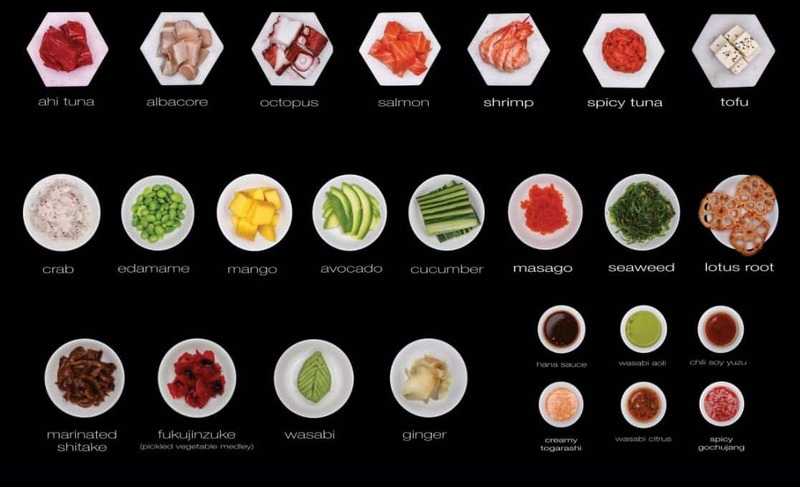 Select your base – white rice, brown rice or a spring mix base. Protein time! Choose from a variety of fresh fish, seafood, or delicious vegan options like tofu and coconut meat! Finish your poké bowl with style! Our fresh toppings and house-made sauces suit every taste! 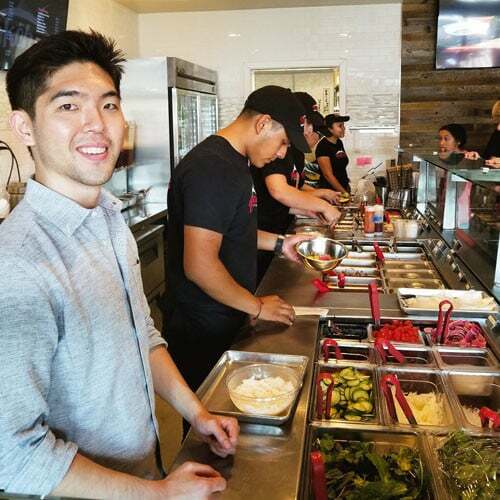 Pokéhana defines the concept of fresh craft poké created in a “fast casual” atmosphere. Poké /poʊˈkeɪ/ – a raw fish salad served as an appetizer in Hawaiian cuisine. Poke’ is the Hawaiian verb for “section” or “to slice or cut”. Hana /h ae n uh/ As a Japanese name, it usually translates as flower (花, 華). In Hawaiian, “Hana” means “craft” or “work”. In Korean, it means the number one (하나). Pokéhana is about more than just delicious, convenient dining. Our goal is to help our guests live their best Pokéhana lives – happy, fit, and healthy. We offer only the highest-quality ingredients in our bowls: freshly-caught fish and seafood, delicious house-made sauces, and crisp, hand-cut vegetables. No bottled sauces or re-labeled ingredients here – everything you taste is crafted to give you the best in every bite! We make it easy for you to fit fresh, healthful meals into your busy lifestyle … without sacrificing flavor! 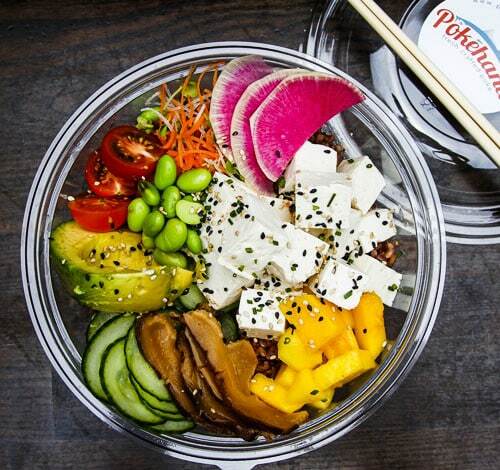 Whether you’re visiting us during your workday or re-fueling after the gym, our hand-crafted poké bowls offer incredible taste and value while nourishing your body and soul. 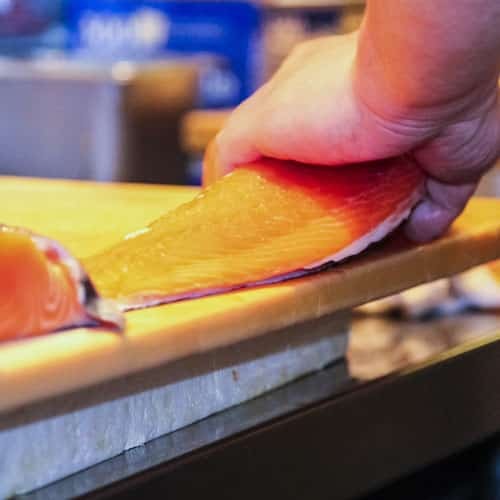 Our commitment to offering the finest-quality ingredients and best service has made our Japanese restaurant Okura Sushi a long-time favorite of desert dwellers. Now, we’ve brought that same passion and drive to Pokéhana. Fresh, fast, and flavorful – fall in love with the Pokéhana life! Aloha! 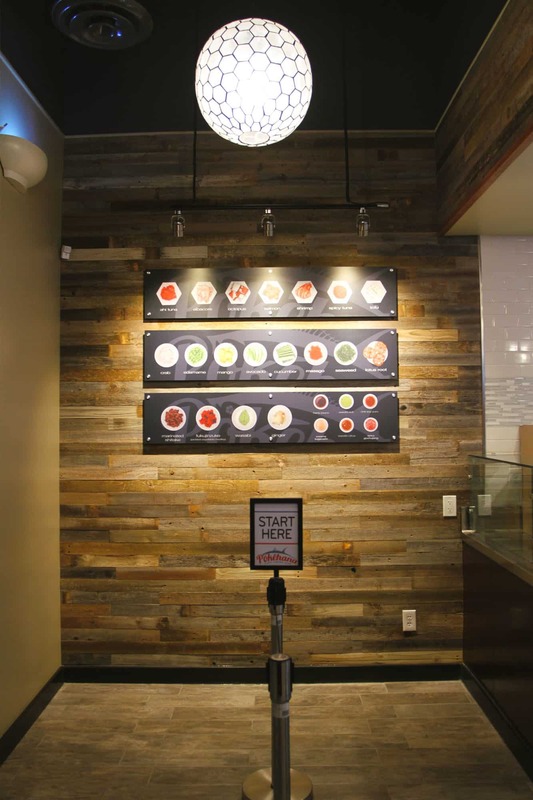 Click here to view our House Crafted Bowls and Menu. Join the Pokéhana VIP eClub and receive 10% off your next poke bowl! © 2019 Pokéhana. All rights reserved.